How do I get a resourceUri for my player section? 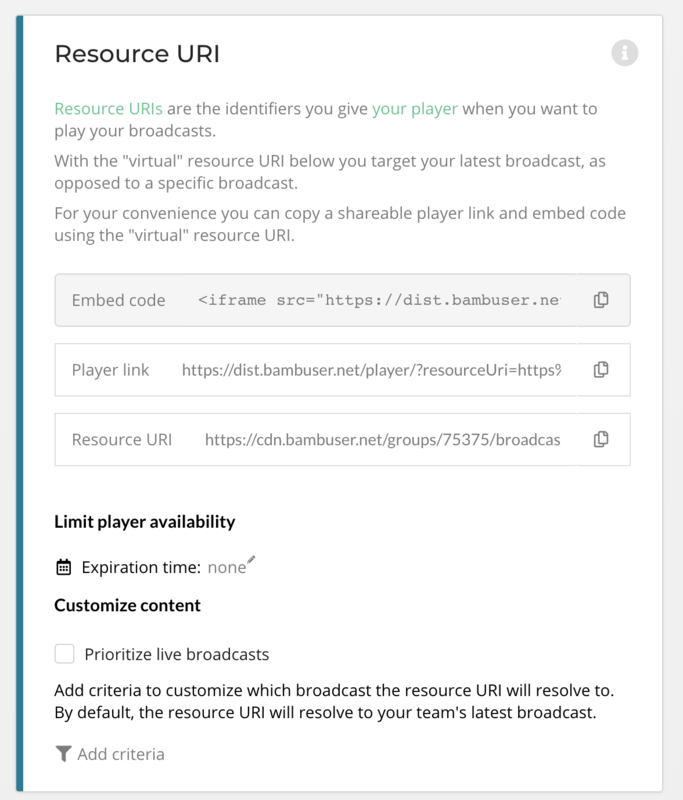 A signed resource URI is needed to play a live or archived broadcast, you can copy a signed resourceURI from the Content Manager or sign one manually by using your daId/daSecret credentials found on the Developer page. More details on the Resource URI can be found in our documentation. 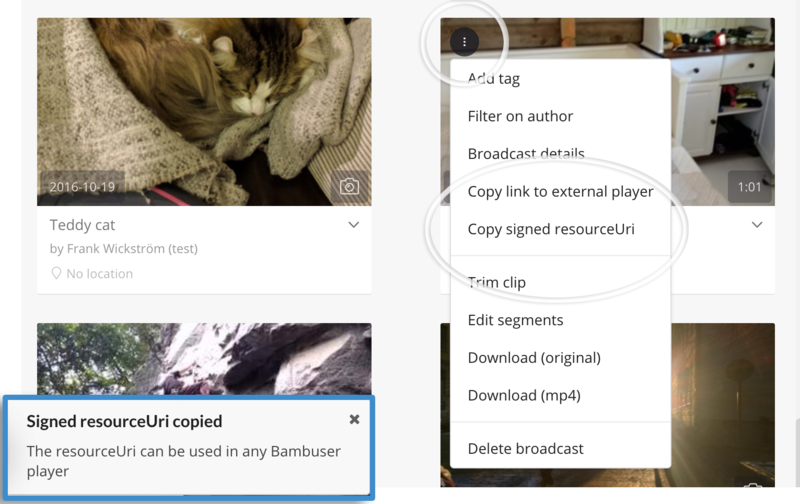 You can find our guides on playback here and more on Bambuser’s web player here.